iP3: How Long Do Hard Drives Last? Backblaze, a online backup company, has released a report that offers data on how long hard drives last. Backblaze has over 25,000 disk drives spinning at all times. Over 74% of the drives they've purchased live longer than four years, meaning 26% of drives fail in their first four years of use. 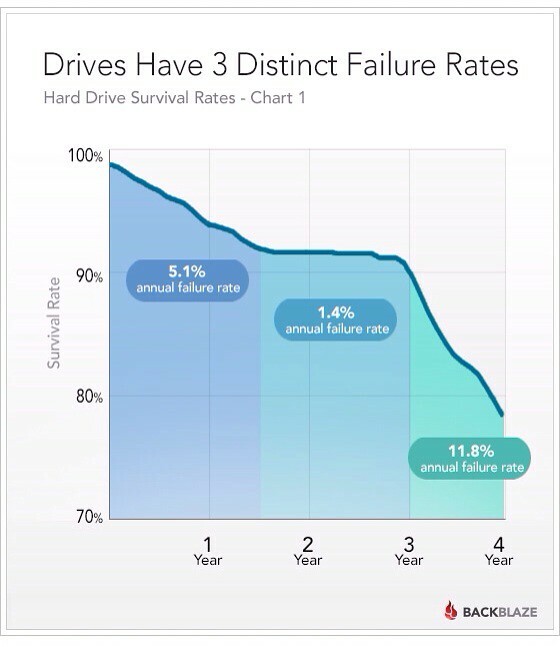 ● For the first 1.5 years, drives fail at 5.1% per year. ● For the next 1.5 years, drives fail LESS, at about 1.4% per year. ● After 3 years though, failures rates skyrocket to 11.8% per year. 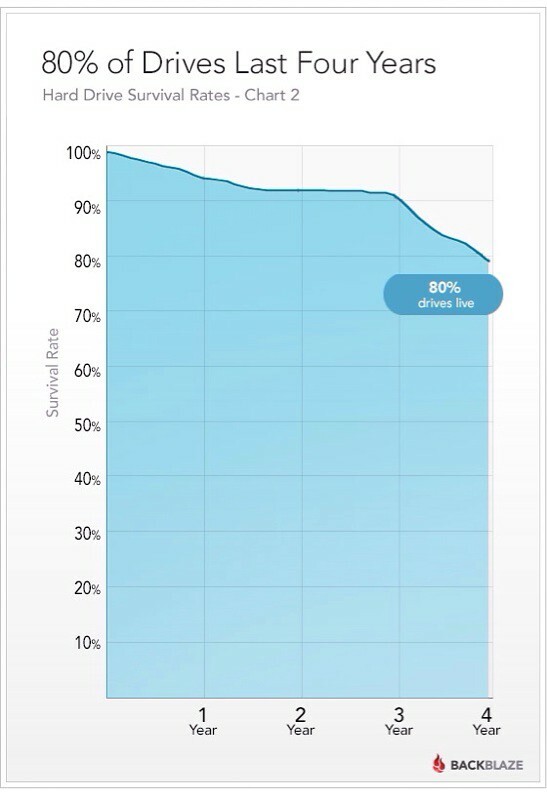 The chart below shows that nearly 80% of all drives Backblaze has purchased are still operational. 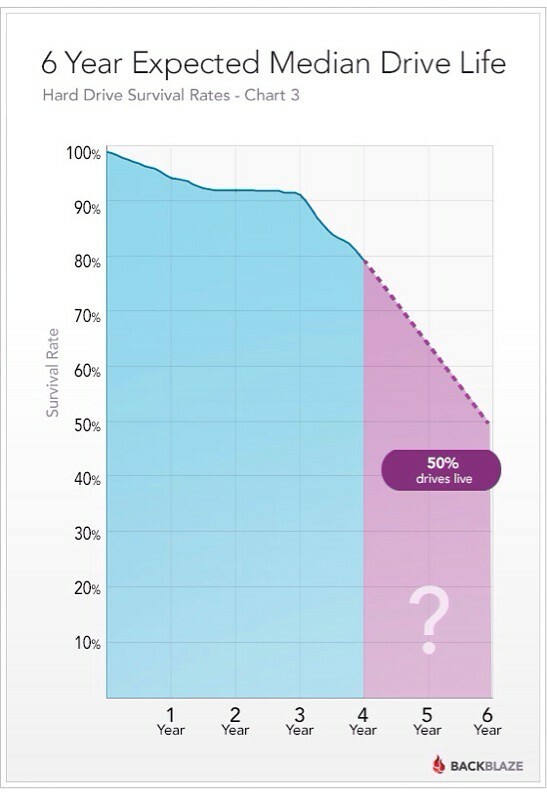 Blackblaze has been running for five years and so doesn't have data for drives older than that; however, they extrapolated the line from the previous chart to estimate the point at which half of the drives have died, determining that, "The median lifespan of a drive will be over 6 years."